Classic illustrations by Peter Bachin. 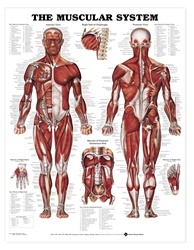 Shows anterior and posterior views of the muscular system. Also illustrates right half of the diaphragm, muscles of the posterior abdominal wall, and muscles of the right hand and right foot. 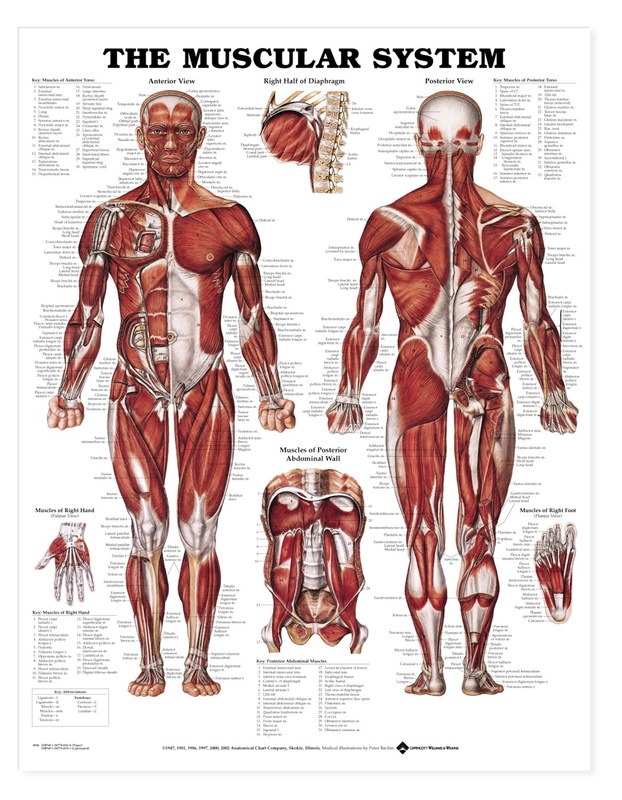 Beautifully done chart that is extremely helpful in understanding human muscle anatomy. Great quality. Came free with purchase of Stan.